If you would like further information about our facilities or hiring please don't hesitate to get in touch. You can contact Jane Taylor on Telephone: 01933 666034 or Mobile: 07708 927557. If you experience any difficulties making a booking please email support@affairsgroup.co.uk or call 07798 626075. Click on any date for full information & a new page will open. 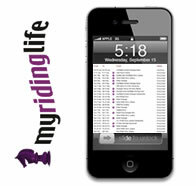 Your online entries can be checked via your own account in My Riding Life at any time. Making Bookings on the Move!